The creation of experiences is now king and the future of marketing. Being good with content is no longer good enough. You have to be great. 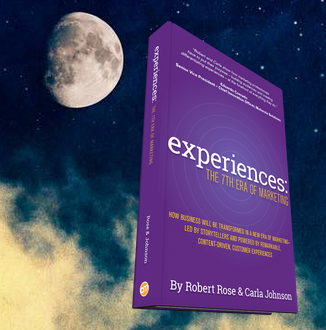 Today it’s Part 2 of our two-part series of our conversation with Robert Rose, Chief Strategy Officer at Content Marketing Institute and his recently released book co-written with Carla Johnson, ‘Experiences: The 7th Era of Marketing’. That and more on today’s episode of this your ‘A Slice A Day’ REWIND.